Spread dill dip over pizza crust within 1/2 inch of edge. 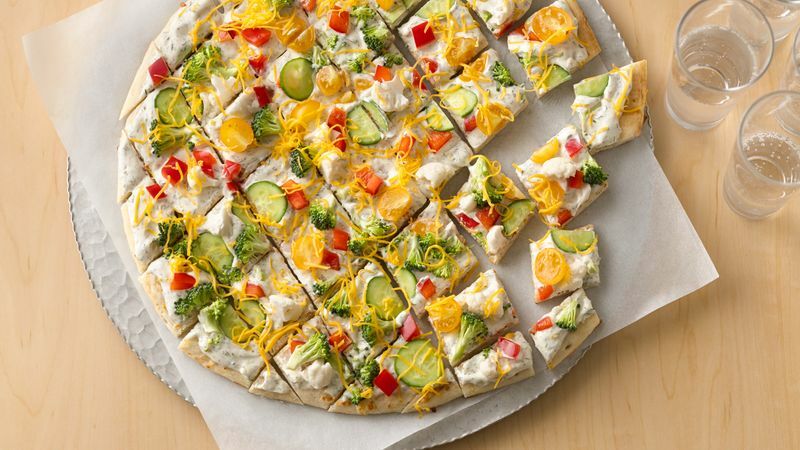 Sprinkle with vegetables and cheese. Cut into 1 1/2-inch diamond shapes. Vary the veggies and cheese to include your family’s favorites in this simple appetizer. Mini Festive Pizza Appetizers make great first courses. Simply spread dip and sprinkle toppings on toasted English muffin halves or miniature pita rounds.